Browse our range of Double Duvet Covers online at The Bedlinen Company. From Childrens Designs to Adults. From Floral Explosions to Pastel Shades in every hue. Why not create a Moroccan Escape with our Kasbah Duvet Cover Set in Either Azure Blue or Terracotta. Indulge in Minimalist luxury with our St Tropez Bed Linen in a stunning shade of Raspberry, Light Grey or Duck Egg Blue. Some covers have a reversible Alternative Design. Browse Through our extensive range of Kids Double Duvet Covers to see what takes your fancy. There are Dumper Truck Themed Duvet Cover Sets for your budding Builder, Ballerina Sets for your future Ballerina and Even Planet Themed Duvet Cover Sets for your future Astro-physicist. From Yellowstone Park themed Duvet Cover Sets that bring your room to life with Woodland Bears and Vivid Trees, to Owl Design Bed Sets, Cat Design Bed Sets, Make a Wish Bed Sets and Fairy Scenes. Unicorns really do exist here at the Bedlinen Company. www.thebedlinencompany.ie There are also Double Duvet Cover sets for when your child grows into a teenager with many styles to choose from such as our Road Trip Design, Stylish Summer Glamping Design, Funky Sugar Skulls Bed Sets, Edgy BMX Style Bed Sets and our Cool Rock Guitar Design Double Duvet Cover Set. 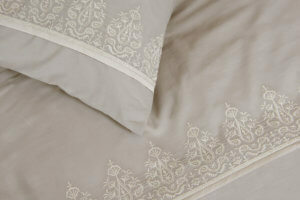 Find a luxurious Double Duvet Cover set at Affordable Prices in our large range of stock. Create Hotel Style Luxury and Quality in your own Bedroom with our Claremont Design Bed Linen Sets. 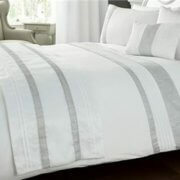 Indulge in Fresh linen Comfort with our Crisp Neve Design Double Duvet Cover Sets which are available in Cream or white. 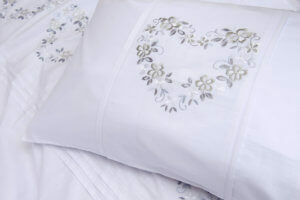 Why not choose our Stunning With Love Design with a subtle heart motif on a crisp finish. Create a dramatic Faux silk finish with our Boulevard Design Duvet Covers Set which is available in Shades of Mink, Oyster or Dove Grey. 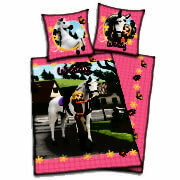 This Design also comes with Matching Accessories such as Neck Roll, Pillow Sham and Bed Spread. There is lots to choose from besides Double Duvet Covers. We have Matching Curtains, Throws, Bedspreads, Mattress Protectors, Pillow Shams, Neck Rolls and much more to complete the look. 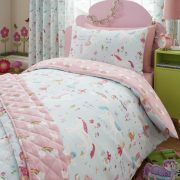 Our Childrens range of bed linen have Duvet Covers in all sizes, Single, Double & King Size. Super King Size is also available in selected Designs. We have Throws and Blankets for Babies and adults. 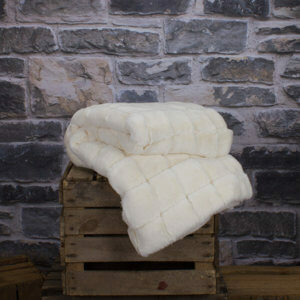 Cot Blankets, Pram Blankets and Bed Spreads in all types of fabrics and Weights. High Quality Quilted Mattress Protectors in various sizes including four foot are available online at www.thebedlinencompany.ie. Check out our Double Duvet Covers Today.